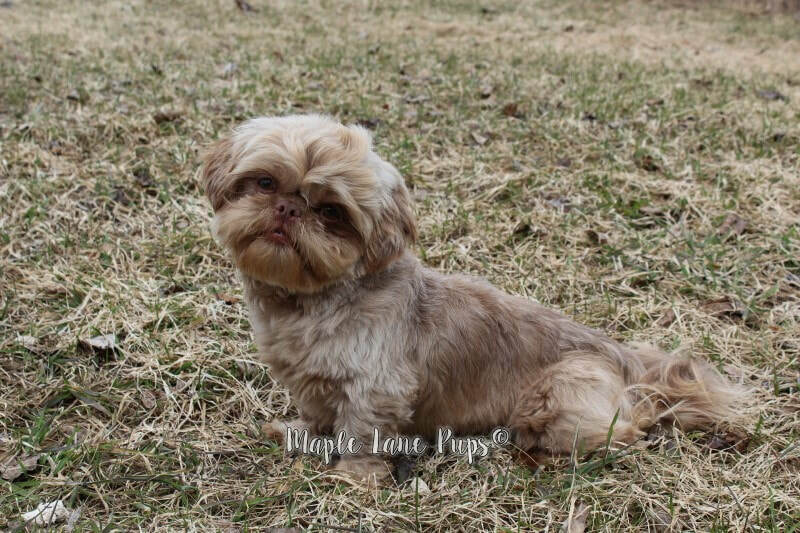 Our Handsome Boys - Maple Lane Pups Michigan AKC Shih Tzu's - Quality Home Raised! These boys are the daddy's to our puppies! They are not for sale and we do not offer stud service for the safety of our Girls! He has a great personality and produces the sweetest babies! Cupid comes from well known Tiny Lines! 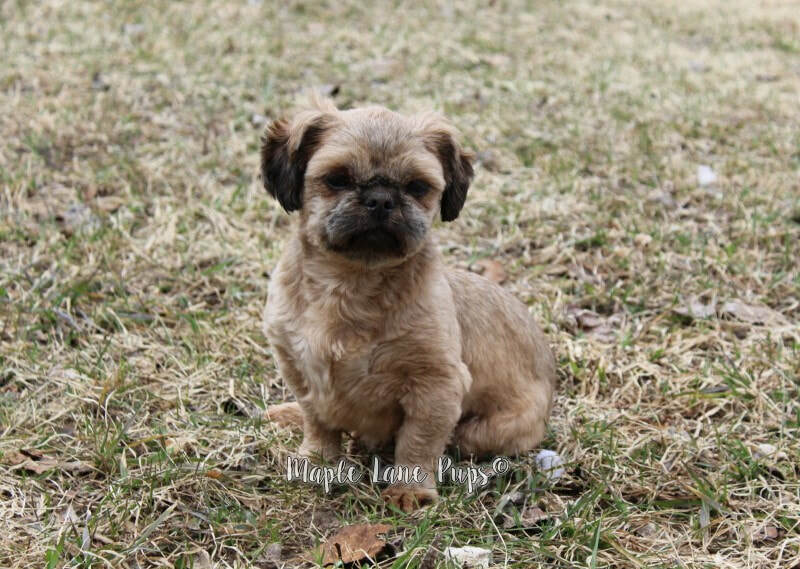 Maple Lane's I'm Diggin on You "Corbin"
Corbin is a stunning Milk Chocolate Liver! He comes from Well Know small lines and carries a rainbow of color. We cannot say enough good things about this little boy he is absolutely outstanding! Dark Forward eyes, and Smooshie Face! Rebel was born here and is out of Cupid & Mischief. He carries for Liver, Brindle, Reds, and even Rare Dobie! Boomer is an Handsome Creamy Liver & White! He has stunning Golden Eyes & Smochie face. With a very Stocky Build and excellent composition! Boomer is a happy boy who loves his toys! 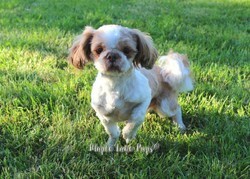 He has a nice pedigree with Strong Liver Lines! Oakley is a stunning Solid Blue. He has light Hazel eyes and Strong Round Head! and thick blue coat! Oakley has a Thick Blue Coat and Stocky body! who loves everyone he meets! !